In what may provide a breakthrough in research on arsenic contamination of groundwater, a group of scientists from Stanford's School of Earth, Energy & Environmental Sciences has identified the energy source which enables certain kinds of bacteria to cause the release of the poisonous element into the environment. 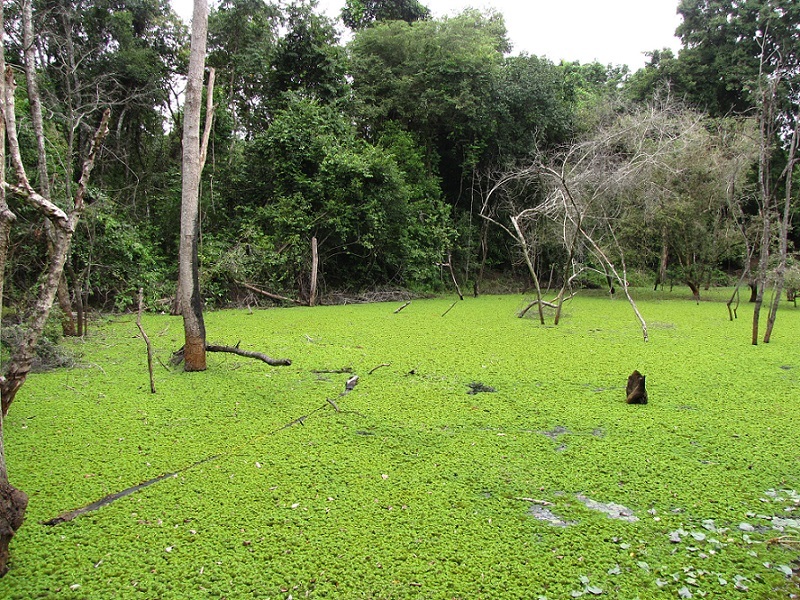 The scientists studied samples from permanent and seasonal wetlands of Cambodia and found that bacteria from permanent wetlands are primarily responsible for arsenic release. Bacteria in such lands have abundant underground organic matter for consumption but no access to oxygen as they are permanently submerged. In the absence of oxygen, bacteria split arsenic-bound iron oxide compounds in the soil for respiration, releasing arsenic in the process. This arsenic is transferred to groundwater. As for seasonal wetlands, sediments are exposed to air during dry periods. Oxygen is available and bacteria in shallow layers consume all digestible organic material. When the floods return, no food is available. As there is no source of energy to enable respiration, the bacteria are unable to cleave arsenic particles from iron oxides. The Stanford team further found that land development potentially exaggerates the risk of arsenic contamination. A small seasonal wetland plot was converted into a permanent one by keeping it inundated with water. Researchers found that this change resulted in the release of arsenic in the isolated plot. This finding has implications for land development, changes in agricultural systems and projects like dams. These can cause changes in hydrological and carbon cycles and affect arsenic release. Arsenic contamination of groundwater is a serious problem in many countries, especially in India where it has resulted in the deaths of 100,000 people in 12 states of India, according to a report submitted to the Central government. Prepared by a committee of secretaries, the report states that people living in 96 districts are dealing with high concentrations (above 50 parts per billion or 50 ppb) of arsenic in water as against the national standard of 10 ppb. Arsenic occurs naturally in the rocks of the Himalayas and is bound to iron oxide compounds in them. Weathering of rocks causes the arsenic-bound compounds to be washed into the rivers, only to be deposited in lowland basins and deltas, which is where most of the contamination is observed. Instances of arsenic contamination first surfaced in West Bengal in 1983. Since then, several districts across the Gangetic belt, in the Northeast and in the Deccan have reported being chronically affected by contamination. It is estimated that over 70 million people are exposed to contaminated groundwater. More than 300,000 people are suffering from contamination-related diseases. Since most of the contaminated water is used for irrigation, arsenic has also crept into the food chain, widening the reach of the element. Findings of the Stanford study can help arrest arsenic release at the source, enabling policymakers to develop appropriate land development policies.